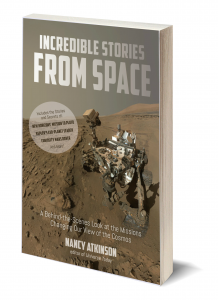 Nancy Atkinson is a science journalist and author with a passion for telling the stories of people involved in space exploration and astronomy. 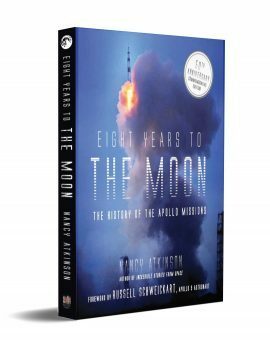 She has been with Universe Today since 2004, and also writes for Seeker She is currently working on a book about Apollo 11, tentatively titled “Apollo 11: Eight Years to the Moon”, sharing the untold stories of engineers and scientists who helped make the Apollo program so successful. Her first book “Incredible Stories From Space: A Behind-the-Scenes Look at the Missions Changing Our View of the Cosmos” (2016) tells the stories of 37 scientists and engineers that work on several current NASA robotic missions to explore the solar system and beyond. 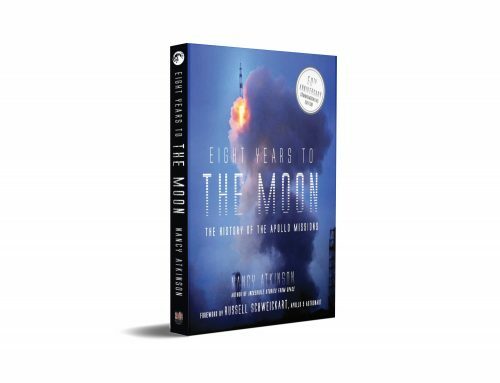 Caltech astronomer Mike Brown called the book “delightful” and Alan Stern, Principal Investigator of the New Horizons said “Incredible Stories From Space was a “great read.” See more reviews and purchase the book at Amazon, or Barnes and Noble. 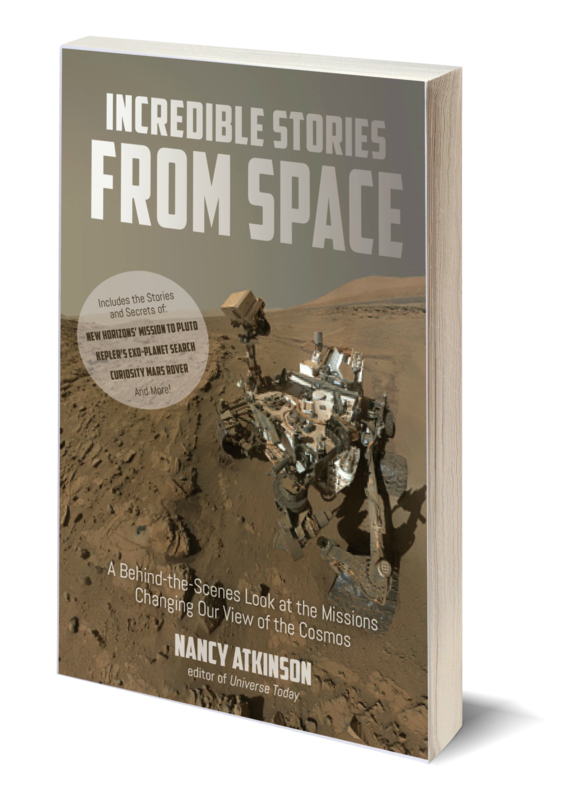 “Incredible Stories From Space” was published by Page Street Publishing, a subsidiary of Macmillan. Nancy was the host of the NASA Lunar Science Institute podcast from 2009-2014 (now SSERVI), was part of the production team for Astronomy Cast from 2008-2015, and worked with the 365 Days of Astronomy podcast where she was project manager from 2009-2011. She also has articles published on Wired.com, Space.com, NASA’s Astrobiology Magazine, Space Times Magazine, and several newspapers in the Midwest. In 2010, Nancy was awarded the New Horizons Traveling Fellowship by the Council for the Advancement of Science Writing. Nancy is also a NASA/JPL Solar System Ambassador, and through this program, she has the opportunity to share her passion of space and astronomy with children and adults through presentations and programs. Education has always played a major role in Nancy’s work. 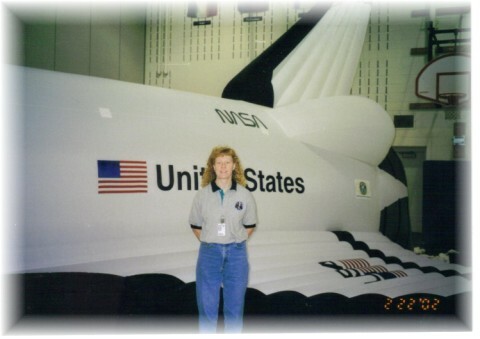 At the Science Museum of Minnesota (2000-2001), she was the lead teacher for a space shuttle simulation program, using a 1/3 actual size inflatable space shuttle. Nancy brought the shuttle to schools, doing week-long educational programs and space mission simulations. 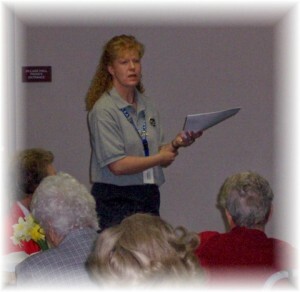 She developed and taught other educational programs at the museum as well. Later, she worked at a library and was able to provide professional development for librarians through workshops and an online learning module on how to incorporate space and science programs at libraries. Nancy views her writing as another way to educate and inform people about the wonders of space exploration and science. Nancy received a BA in English with an emphasis in Mass Communications from the University of Minnesota-Morris. Nancy grew up in North Dakota, and lives in Minnesota. She and her husband have three sons.